Have you discovered the delights of bingo on your mobile phone yet? Many online bingo sites offer a ‘mobile’ version of their software, meaning you can play on the go wherever and whenever you want. Smartphones have revolutionised technology on the go — they are the magical mini-computer in the palm of your hand. Indeed, for many of us, the actual ‘phone’ function of our mobile phone is no longer its primary feature. Currently, the main smartphone handsets you can play bingo on are the iPhone, Blackberry and Android, although new handsets are being added all the time. At the moment 37% of site visitors to Best Offers Bingo access the site by mobile phones or tablets. As we lead increasingly busy lives, you may find your leisure time being less-readily available. Does this mean less time sitting at a computer playing online bingo? Yes? Then the answer is simple – get your fix when you commute, while you’re watching TV, or even at the hairdressers. As long as you have a strong 3G or Wi-Fi signal, playing mobile bingo shouldn’t be a problem. Ready to deposit? Use a credit card, or charge it to your mobile phone, so you can pay for it via your phone bill. 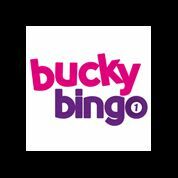 Some mobile bingo sites let you use web wallets such as Ukash to deposit your money – quick, easy and secure. Worried about what happens if you get disconnected while you play mobile bingo? After all, your signal could drop out as you enter a blackspot, so what happens next? 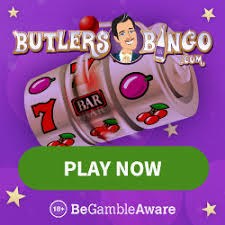 As you know, when you play online bingo, you don’t need to be online to physically call a full house full house – the bingo software will not penalise you are if you not been connected, and if you are lucky enough to win, you will find the cash in your account when you do reconnect your phone signal. It’s important to remember that all respectable online bingo sites are highly regulated and audited, so you can be sure of a fair result. Can Mobile Bingo Cause Addiction? It has been argued that with the upsurge in mobile phone gambling, more players are becoming addicted, especially women. This is because traditionally, women haven’t had access to gambling, but playing mobile bingo means they can play where they want, when they want, and in secret. Always remember to play responsibly, never bet more than you can afford, and if you feel you may be developing a problem, contact GamCare. Your bingo site should also allow you to set Exclusion Limits, where you are only allowed to bet a certain amount or you may want to use Self-Exclusion so that you simply cannot play anymore. Another thing to be aware of when you play mobile bingo is a potentially large phone bill. Before you play, ensure you have either unlimited data, or you’re using wifi. Most mobile phone bingo apps are fairly intensive when it comes to data usage, and the last thing you want is a nasty shock at the end of the month. Shopping around should reveal that many online bingo sites have a mobile phone version, but not all have this facility yet for all available games. Often you’ll find that not all slot games that you find on the desktop version will be on the mobile version of the site, that said there has been a steady increase in slot developers making sure games are mobile friendly. To entice you to try their groovy games, many free bingo sites will offer you an added incentive for downloading their mobile phone version. This could be in the form of a free bingo bonus, which you can spend on a variety of games, and who knows, you could even win real cash as a result? So – it’s time to go shopping for a mobile phone bingo app. There are plenty available, and they are all free. 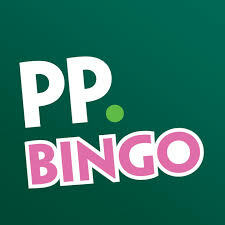 A quick download, and you will have the biggest bingo party on the planet in the palm of your hand. Now let’s play!